If you consider California or Seattle as markets compared to New Jersey, New Jersey clearly is an affordable market. 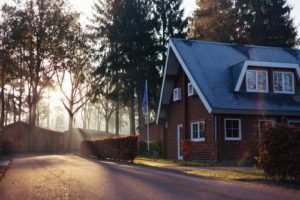 Considering the appreciation and the cost of a mortgage currently, the rate of home purchases has slowed slightly over the past few months, but New Jersey still represents a seller’s market. Higher interest rates and the inability of the construction industry to keep up with demand has kept buyers for the most part in a tight market. Even though the percent of price received by sellers in most cases is in the 97-98% bracket, it’s still not California, where homes are frequently subject to bidding wars. As mentioned in a CNBC report, San Diego reported the largest growth of inventory coming in at 22% year-over-year. This is compounded by the shift from increased inventory to decrease inventory. In New Jersey, closed sales for May fell to 7,362 single-family homes. This decrease of 1.8% year-over-year is reflecting the 17.2% decrease in homes for sale on the market. Also, days-on-market continue to shrink from 71 days in 2017 to 64 days in 2018. Additionally, the month supply of homes has fallen from 6.5 months to 5.1 months, according to New Jersey Realtors Association. There is a small bit of good news for the buyers out there: new listings jumped to 13,000, up from the 12,713 reported 12 months prior. Probably the group that has felt the brunt of the inventory shortage is the loan officers, as there has been reported in June a decrease of 9% in mortgage applications. Slowly, the average sale price for a single-family home has been creeping up from September 2017, but is not near the $414,000 mark reported back in June 2017.